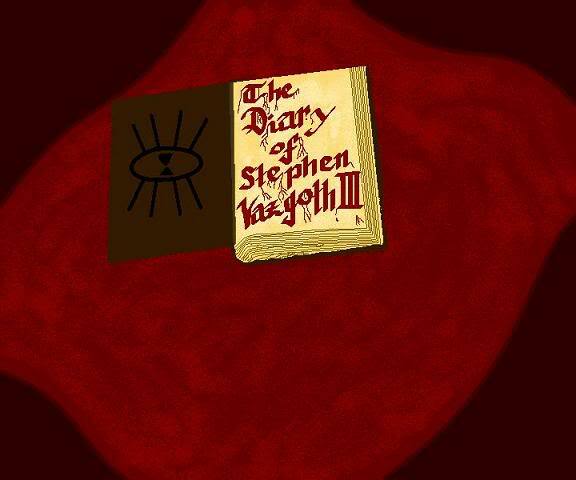 The Diary of Stephen Vazgoth III is a handmade artifact of parchment bound to unassuming leather covers. An intricate lock in the shape of a human heart secures the man’s writings from prying eyes. The key to opening the diary is the sacrifice of a drop of blood plied to one of the “veins” at the top of the heart, as per an enchantment by a sorcerer. Warning: The Writings of Stephen Vazgoth III are not all for the faint of heart. Violence, mention of blood and gore, and a hint or two of adult themes are all possible to be contained herein. Language shall be censored. My name is Stephen Vazgoth... the Third, even though I’m seven and not really three. My mother – a Carakleinian Royal – made this journal for me by herself. Didn’t think Royalty were supposed to know how to do such things... But we don’t live in Caraklein. The season is warm and pleasant here... or warm and pleasant –for– here. Not certain which that is. I think we are in the fourth month of the year, approximately the twentieth day. Since the day of my birth featured much snow, it’s clear I’ve had this diary a while. ... But I’ve been busy! Busy doing my letters and school, of course! Mother’s making me go to a special school –blegh. Stop it, I'm trying to write! Did I mention Sothar, my brother? He is the most annoying person in Arraknanth! Not to mention likely the shortest. He is four years upon the earth. Mother and Father say he is far too young to do the things I’m able to do or play as I do... but we shall see. ... I know precisely where father’s doctoring equipment is kept, and it’s even within my reach after a fashion. 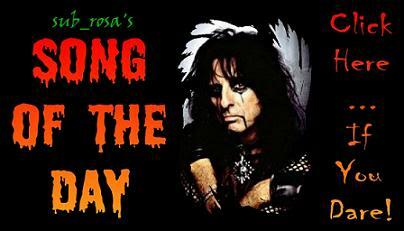 Tomorrow should be really fun! I have been forbidden from the entire east section of the house, as well as anything containing small pieces, for attempting to save my brother from choking. How was I to know he would try to eat three of the biggest chess pieces? Sothar has played games of that nature before. Father claims I told Sothar to eat them since I was the last one playing chess. It’s so unfair! ... At least I broke the pawn in half and then crushed the part I didn’t eat as well as four other pawns into several pieces with a hammer before putting it in our cook’s bread batter today while Father was doing what I had tried to do but wasn’t quick enough for him. Father would have had my hide if he seen me with any chess pieces – half-eaten or not – in hand or pocket, so I had to dispose of it. So really... if I ate one then so did he! And mother... and the other people that were over for Evening Meal. Then again, maybe it could’ve been two... kinda hard to tell once it’s been smashed to pieces. Why did I eat chess pieces? ... That's a good question. I know not. Just felt like it I guess. Father revoked the banishment, finally! Although, now he has forbidden me to go outside unsupervised. Not sure what I did to deserve it. I was just trying to show Sothar how to cut down a tree using a sword... Just because he decided to crawl right into the path of the blade doesn’t make it my fault! Uncle Zyrcon Vazgoth took me fishing today. He caught more fish than I did, but then again I wasn’t really all that interested. What did interest me is all the fascinating frogs in the area! Bright red, blue, and green ones... and there was even an intriguing yellow one with orange spots! I brought them home with me, and stole Father’s finest scalpel and a few other interesting instruments. Must say that frogs most definitely do *not* stay still when you want them to! I wonder if this is what it’s like to operate on a patient like my father does sometimes? Thing is, I didn’t have anyone to help me hold the frog down. But I managed! Some of their insides didn’t seem to be working right so I removed them and stitched ‘em back up. Maybe I can start training with my Father soon, if the frogs last the night. Only one frog survived the night. Ah well... I’m still learning! Today I re-opened the dead ones up and took out their insides to get a closer look as to why they might’ve died. Aunt Uvirith took me for a ride around the village this afternoon. Guess Mother and Father wanted me to leave Sothar alone for a day. Not sure why... he annoys the blazes out of me so why can I not do the same unto him? Yesterday he was REALLY annoying, crying because I kept trading him the frog guts I’d collected the day before in exchange for blocks. I tried to show him how to go about handling the little pieces but he just wanted the blocks. Eating raw frog guts wasn’t such a good idea... at least, not from the frogs I’d found. Sothar and I are sick and the healers aren’t sure how to fix us... Though, they certainly enjoy cramming nasty-tasting potions down our throats! Finally feeling well enough to practice my letters today in this journal. The Healers determined that one of the frogs I’d caught was poisonous, hence why I was sicker than even Sothar... lucky brat. Not only that, but Father found the frog corpses as well as his missing equipment under my bed. I fed the frogs to a pair of mice that took lodging under there. Except the poisonous one... that was the one that lived longer than the others. He gave that one to the weaponsmiths in hopes to extract whatever’s left of the poison to dip arrowheads into. Because I’d gotten sicker than Sothar this time, I didn’t get berated or hit for making him sick. However, Father has seen fit to threaten to beat me for stealing from him once I’m fully better. Tried to tell him I was merely ‘borrowing’ the stuff, but he wouldn’t listen to me. Uncle Zyrcon kept his promise to swordfight with me today! It was a lot of fun! At least... for a while. I actually think he’s mad at me because I hurt him. All I did was poke him in the leg with the sword. How was I to know it was sharp? I’d think even he’d know not to give a kid a deadly, sharp weapon... Guess not. Well... he knows now. Hopefully he’ll get over it soon. He’s my favorite uncle on Dad’s side. Maybe I can make it look like Sothar does something even nastier... Isn’t ‘Uncle Z’ allergic to hazelnut? Today has been most unusual. My father tipped my bed up so I’d wake up by falling on the floor. I hadn’t ever seen him quite this mad. When I asked what he was looking for, he said not a word and then stormed back out of the room. So, I went back to sleep... and Father once again lifted up my bed so my fall would wake me up. At least this time I got an answer: Uncle Zyrcon has taken deathly ill from having eaten quite a bit of hazelnuts. I’m the only one in the family that likes them according to Father. My eight-year-old mind says it’s more like I’m the only one in the family that likes them and would possibly do such a thing. Can’t imagine why he’d think I’d do that to one of my favorite uncles... Oh, and there were a lot of hazelnut shells in Sothar’s room. Grand bit of logic there, Father. You know one thing I learned yesterday? Ground-up peanuts look just like ground-up hazelnut... and Uncle Zyrcon apparently has no allergy to peanuts... Wonder if someone switched the two by accident? Yeah... that probably is a long shot isn’t it? Oh! What about secret assassins?! Now that would be cool! Well I dunno what else it would be... Either someone switched the labels or it was assassins. ... But Sothar was the last one near both, honest! I think the one-eyed mouse in my room gave it away, somehow. Or maybe it was the no-eyed frog... or the squirrel... dead ones, that is. I certainly wouldn’t keep a live squirrel in my room. Are you crazy?! Okay... this is really weird... Seems every time I write something, or think something, another voice either has something to say or ask. Even when I’m by myself... It’s actually interesting despite it being odd. But about the eyeballs... Aunt Uvirith, Mother, -and- Father confiscated them all as well as searched my room for any other “surprises” I might have. So much for building a pet necropolis on the grounds of the Manor at some point... I had a good start to it, too! 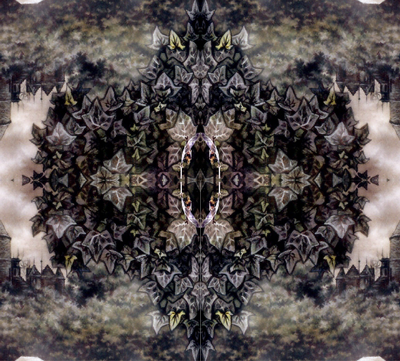 The voice I’ve been hearing has told me its name... odd because Sothar’s begun seeing things. The Healers claim that he simply has what’s called ‘a friend created from a child’s imagination’... though that was after the village shaman declared he wasn’t possessed. Considering this ‘friend’ has the same name as the voices I’ve been hearing, we must be sharing him. Not sure how, though. Sometimes I wish Tioteph would’ve just stayed MY imaginary friend. Let Sothar search for his own... at least he can see his! I tried to strangle Sothar today, the day after his seventh birthday. He was driving me crazy, following me around everywhere! I’ve been confined to a rather bland room. It’s not mine, and the windows are too high up for me to reach. The bed has been bolted down. Odd... Tioteph is adamant that we need to get out of here. I agree with him. Still in this boring old room. Father says I likely will be for the next six months... or longer if I don’t show ‘improvement’. Wish I knew what he meant by that. I’m getting good grades when the tutor comes to my room, despite the fact I nearly scratch his face off trying to get out. I dare not tell anyone about Tioteph... who knows – Sothar’s imaginary friend might be considered a demon possessing me. It’s already unfair he’s not considered a nutter, too! What else could Mother and Father think of me by putting me here? The restraints, the bloodletting, the healers... not to mention the occasional visits from really, REALLY old guys that claim to be of the clergy or renowned Shamans throughout Cerathuar. Tioteph really doesn’t like any of them, and neither do I. Child I may be, but dense I art not! Tonight I write by candlelight and am being supervised while I do so. Once I’m done they’ll have to put restraints on me to do a bloodletting. Who are ‘they’? ... the damn healers my father sent for. Once the bloodletting is done then they force an awful potion down my throat that makes me sleep. I wish they’d just leave me alone – I’m fine! Really, you should see this guy what calls isself a healer. Looks more like the village idiot. Or, more to the point, five village idiots in one body. Haha. No change in my situation seems forthcoming. Father has already stopped coming to visit, and Sothar claims that he doesn’t even speak about me with anyone except Mother. Oddly the kid seems genuinely concerned about this despite how many times I’ve gotten him into trouble. I’m not concerned – he’s probably just mad over something. Wouldn’t be the first time he’d ignored me. Though... at least before I could be really annoying and try to get his attention. Now I’m lucky to be able to jump on my bed just to look out the window. I managed to swipe the cup from my lunch tray, gaining both a digging utensil and a second drink. Perhaps with a bit of luck and prayer I can dig my way out... Not certain what I would do afterwards. Apparently when one is deep in a hole, one cannot hear that others are looking for him. I was discovered shoulder-deep in a tunnel, due to the earth scattered about my bed. Try as I might to have been rid of them, I failed. For two weeks was I restrained without chance to move without someone knowing about it. Not even in my journal could I write without being spied upon. Even now I’m being watched... They moved me to a different room, but restrain me if there are no volunteers to keep an eye on me. Caught some sort of disease from my brother... my whole body hurts, I have been feverish, my nose drips, and I’ve acquired a harsh, slow-to-halt cough. On top of it all I’m still restrained most of the time and unable to get comfortable enough to sleep. So they give me potions for that as well. Isn’t it dangerous to mix some of these? Have the Healer’s gone insane? And why hasn’t Father contested their decisions? I feel weaker than normal today, so I shall not write long. Tioteph said I had an odd spell today... something I thought I should write down in the event the worst should happen. He described it as a kind of fit, and expressed concern over being stuck in here. I overheard one of the Healers saying they seen a mad gleam in my eyes when one of them woke me. Apparently they can’t tell when they’ve frightened a sleep-deprived someone out of a nice sleep. Well, I haven’t died yet. Been in here for four of my six months. They finally decided to see how things go without the restraints on at all times. About damn time if thou asketh me. Tioteph and I agree that we should take this opportunity to try and escape somehow. But, for now, I should at least appear that I can be trusted. And get some quality sleep for a change. Hmm... seems one of my nanny/tutors left their hair pin here. Shame they won’t see it again. After today, it’ll have simply disappeared. But its last duty as a lockpick shall be a dignified one. Not sure where I’ll go or what I’ll do if I manage to get out of here. It is a must that I speak to my father about how the Healers have treated me, and the fact that their potions had me having fits for weeks! I shall write tomorrow if all goes well, but for now I must get to work and then prepare for the chaos of my plan. I’m out!! Furniture has been rearranged since the last time I seen this portion of Vazgoth Manor’s rooms. As I write, I am hiding in a small cupboard used to store food. No one would think to look for me here. I could even hear them scrambling about in search for me. Some of the Healers were arguing whether I would have left or stayed. The past few days could have gone over a lot better than they had. For one thing, Father was livid when he found out I escaped my domestic prison. I got hit across the face for that, and then he dragged me by the collar of my tunic back to The Room. He didn’t listen to a word I said! I’m not going to forget this, Father... It’ll seem like it, but I won’t! What is even more incredible is Mother agreed with him... even though one could plainly see she didn’t like the idea either! Now not only am I strapped into a very odd jacket at night but I’m also chained to the bed. AND they took the hairpin I’d been hiding in the hope they would simply drop me off and be done with it. Escape seems to be nearly impossible now. I’ve finally been released from my domestic prison... though I feel the eyes of all upon my every move. For now I must act as though the time spent in isolation and in the “care” of the Healers has turned me for the alleged better, elsewise I may find myself in there again soon... if not the local nutter house... permanently. Mother is starting to look... weird. She says she is with child. I’m not sure how I feel about this... Sothar was and still is rather annoying, though I haven’t tried to strangle him yet. Y e t being the key word. I can just see the look on Sothar’s face! A kind of contest has sprung up between my brother and I, to see which of us stays and which of us goes. He took every word I’d told him to heart, the idiot. I’d forgotten how fun it is to annoy him, though I’ve remembered all of the techniques as if it were yesterday. It’s great to finally not have to answer to a bunch of dim-witted healers and return to my old ways again! I honest to Gods don’t believe it: Sothar nearly killed me! I’ve suffered a few bruises and several cuts of varying severity, but I shall live. What astounded me was that the kid came out of nowhere wielding Mother’s dagger and Father’s largest scalpel. Perhaps I should learn to wield a weapon so that this doesn’t happen again... I daresay he’s taking this ‘contest’ a bit too seriously. Father thinks I told Sothar about the ‘two children’ rule... for no other reason than because of my past behaviors. He’s right, of course, but it’s rather annoying how he sometimes knows more than he lets on. So I’m apparently to be given rather humbling chores hardly befitting my place on the social ladder. Mother just gave birth to a girl, my sister. Hopefully she’ll be more interesting than Sothar was when he was in diapers. It is decided her name shall be Arachne... so if nothing else her name is interesting. Father has decided I’m about as mentally stable as I can be, and thus we get to take a trip to Caraklein. This’ll be the first one since I started lettering in my journal... or at least the first time it occurred to me to write of my travels. Uncle Strenver, King of Caraklein, is a great man. Can hardly wait til we get there!